Water damage can be caused by a variety of things such as a burst pipe, excessive rain or accidental spills. The National Flood Insurance Program says that as little as an inch of water can cause serious damage. According to the EPA, the first 24-48 hours are the most crucial when dealing with water damage. It is in this time frame when you need to begin the process of water extraction and drying so as to prevent the growth of mold. Other industry organizations believe the time frame is shorter. After water damage has occurred, use of fans for ventilation and circulation is essential throughout the affected area. Removal of all free standing water and water from carpets requires the use of appropriate water vacuums. Any paneling should be removed from walls and dried. 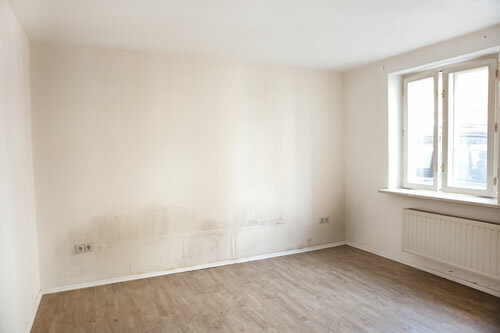 With drywall that has become soaked, ventilation holes and air circulation are required. The EPA suggests that books and paperwork that have been damaged by water and that are not valuable or a necessity should be disposed of. All water damaged fiberglass insulation also needs to be removed and disposed of as well. Chicagoland Mold Doctors performs water, flood and sewage remediation and restoration sevices and fire damage restoration service. These services are performed by fully trained and certified response teams. Is there mold in my house? � Copyright 2013 - 2019 Chicagoland Mold Doctors. All Right Reserved.